Eligible Candidates can Download RRB ALP Technician 2018 Stage II Exam Result at the Official Website of RRBs. 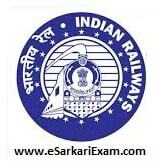 Applicants First Logon to Indian Railway Official Website. Open Concerned RRB Link for Which Candidate Applied. Click on Stage I Results for ALP, Technician Link at Home Page. Open PDF Link and Check Result by Using Roll No. For Stage II Marks Click on View Score of Stage I CBT Exam Link.